In preparation for the upcoming roundtable, “History Museums are Not Art Museums, Discuss,” at the 2011 Museum Computer Network conference, I decided to revisit a survey I conducted in 2004. 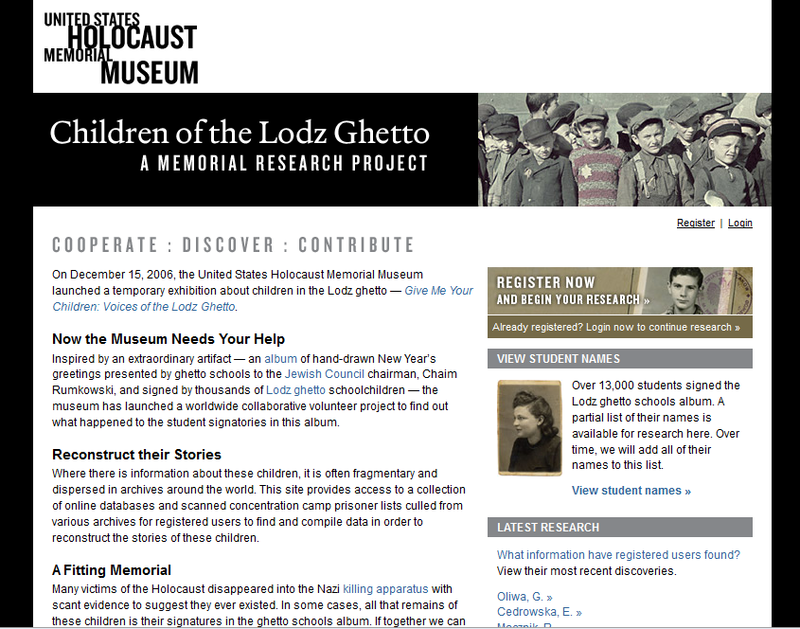 In ’04, I was working on a minor in history and new media that focused on the history museum web. My adviser, Roy Rosenzweig, suggested that I should do some type of systematic review of existing websites to note trends and patterns in the diverse array of history museums across the US, because nothing existed at the time. This was of particular interest to me and Roy, because of Roy’s research together with David Thelen that examined the ways that Americans engaged with the past in their everyday lives. They discovered that many Americans regularly visited museums and historic sites and trusted those sites and interpretations more than what they experienced in history classrooms with textbooks.1 I wanted to see what history museums were sharing with their visitors online, and if these institutions offered opportunities for meaning-making or knowledge-sharing with visitors of any age, in any location, by engaging with institutional collections, exhibitions, online lesson plans, or participatory endeavors. With some notable exceptions, I found that most history museums did not share much of their content, collections, or expertise online. If you’re interested in reading my very long statement (50+ pages), feel free to download the PDF The History Museum Web Examined, 2004. To view the survey data and list of museums surveyed in 2004 only, see this snippet from the larger report. I wanted to know what has changed in 7 years with the history museum web, particularly as I notice museums developing for the mobile web, sharing collections via APIs, and inviting the public to co-curate exhibitions. While there are more digital tools available to facilitate some of this work, I see a lot of innovation in art and science museums, and less from history museums (again, with some notable exceptions). 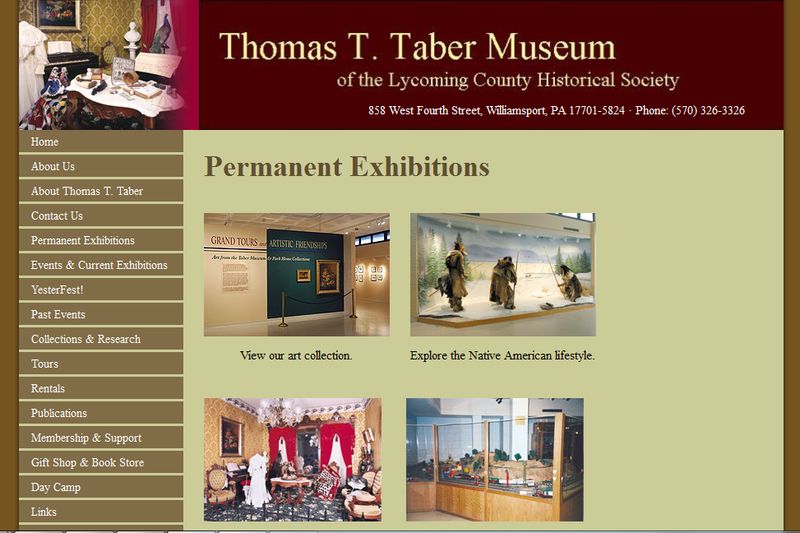 To really know what the history museum web looks like in 2011, I needed to go back and look at a lot websites. This survey offers a good snapshot of what history museums–including large and small, national, regional, and local museums, historic sites and houses, and living history museums–are doing on their websites and with their web presence. In total, I reviewed 115 websites out of the 1179 self-identified history museums listed in the American Association of Museums’s online member directory. I started with the first museum listed and counted down 10 to select my next for review. This method made choosing sites easy and was guided by numbers. I encountered about a dozen museums that listed no website. What did I seek? 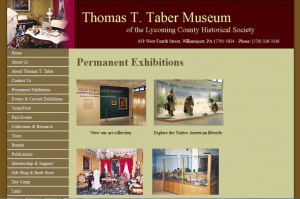 I skimmed through each site looking for history and exhibit content, collections, educational and/or teaching materials, social networking presence, and basic visitor information. I chose not to evaluate or judge the quality of content I found, because of the sheer volume of materials available. I published all of my data in a Google spreadsheet, State of History Museums 2011, for all to see and use, under Creative Commons, BY-SA, which also means that you must share alike if you remix and use. History museums in 2004 offered more narratives and stories related to exhibitions than in 2011. Nearly 70 percent of history museums provide only a summary or list of exhibitions. Only 2 museums offered a means for closely examining an object. Searchable collections databases were available in 17 percent of museums, up from 9 percent in 2004, while 37 percent offer no collections information (not even a summary or finding aide). 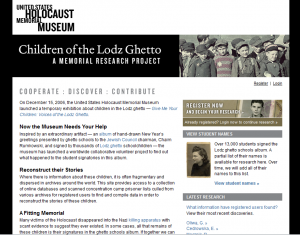 Nearly 70% of history museum sites offer no online teaching & learning materials. Most list programs offered on-site with contact information, only. Facebook is the most popular social network where museums have a presence at 56 percent, but 42 percent of history museums have no social media presence. Visitors can now expect almost every history museum to contain basic visitation information, which sites did not always offer in 2004. Overall, more history museums have websites and they provide basic information about the physical sites, but most still are not engaging online visitors in meaningful ways. Some museums, however, have dramatically increased the type of content they provide and have also changed the ways that they interact with their visitors. Some are communicating with their communities on Facebook and Twitter, while others are asking for public participation through digital “citizen history” projects. Some social media trends surprised me as well. I was pleased to see nearly 20 percent of museums sharing videos on YouTube, but I expected to find more sharing images on Flickr. Museums are picking and choosing from the variety of free networks and you will see those interesting combinations of social media presences in the spreadsheet. Take some time to peruse the data. I will offer some additional thoughts after our awesome roundtable discussion about the history museum web at MCN.